Harvard Law School, established in 1817 is the oldest existing law school in the country. Langdell Hall, the principal building of the law school was designed in 1905, and added to in 1929, by Shepley, Rutan and Coolidge. 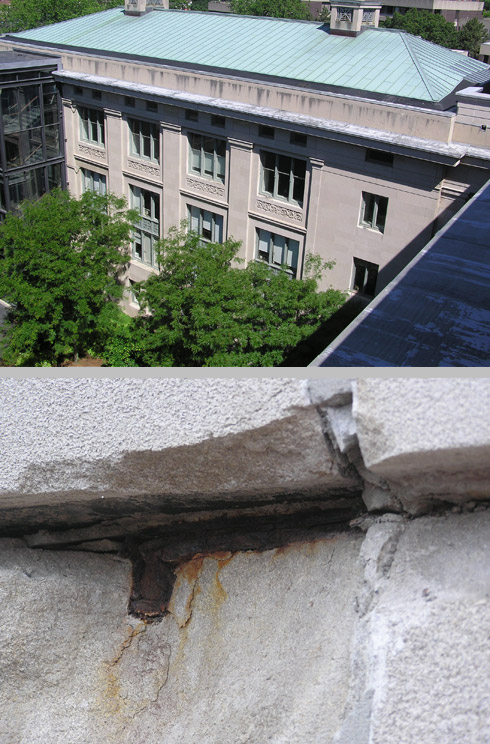 Analysis included evaluation of the condition of the limestone masonry, gutters, roofing and window systems for the purpose of providing a budget for delayed repairs. Conditions of distress including stone spalls at anchor cramps and movement cracks in the stone work.